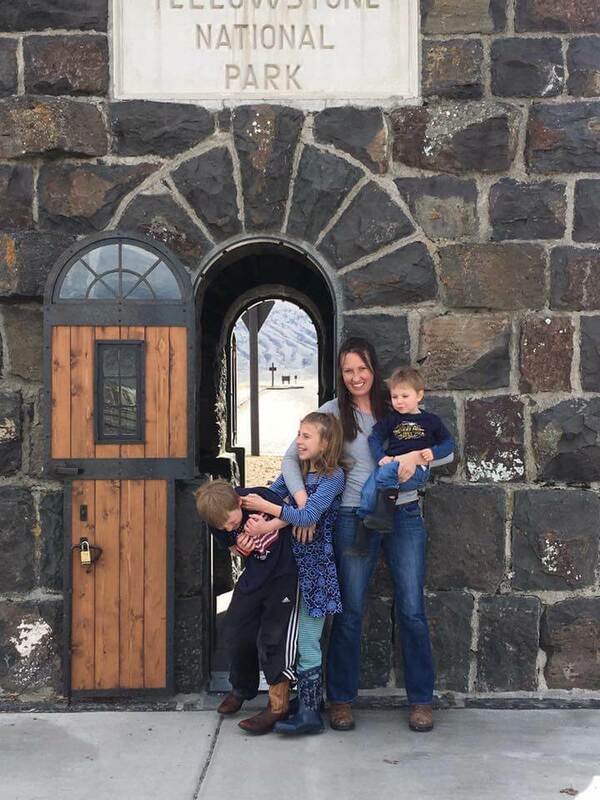 There is nothing that tugs on a mama’s heart strings like knowing your child feels left out, and that’s exactly the feeling that I got when my children dutifully handed over their corn-syrup and food dye filled ring pops after going through birthday party goodie bags or Valentine’s Day loot. Read: Behavioral Problems? Skin Conditions? Low Immune System? It’s What We’re Feeding Them! Ring pops are fun, I remember the appeal and fun jewel colors from my own childhood, so I am delighted to be able to make my own for my children to create their own fond memories from, without the food additives that make them sick. 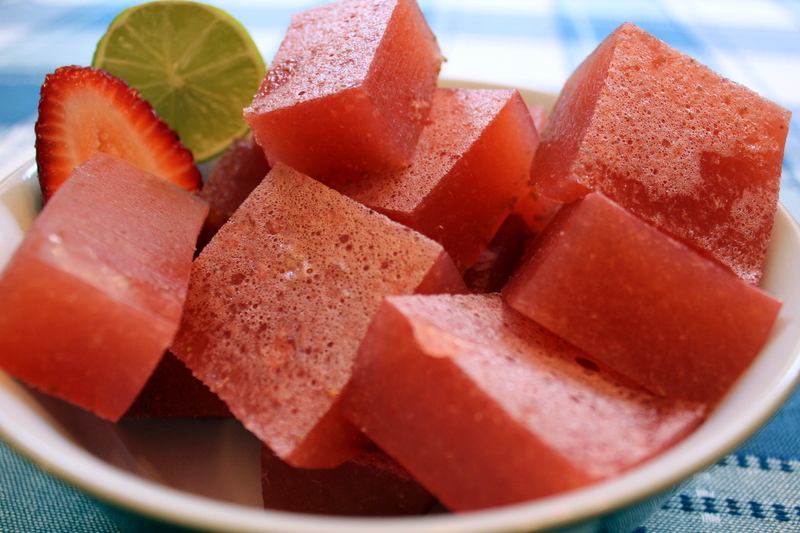 This simple recipe is made quickly in the blender, and fits exactly into the pop molds linked. The tart cherry is good for many health issues, including promoting healthy sleep, raw honey has beneficial enzymes and is easy to digest, and the strawberries are a whole-fruit, balancing the tart cherry’s flavor. 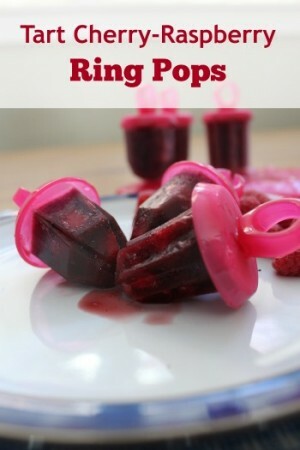 Make these and let your children participate in the fun childhood tradition of ring pops, without the ingredients you know will make them sick. 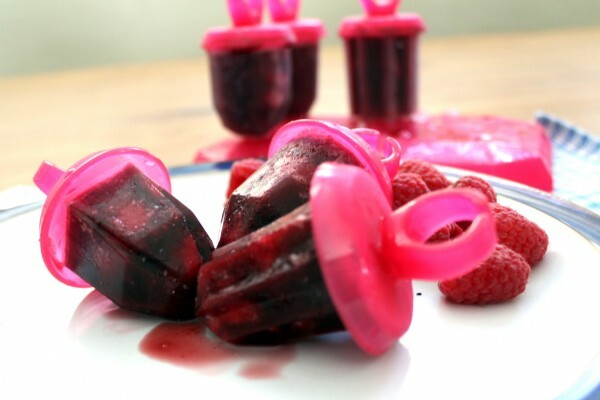 With the ring pop molds secured in their base, place 2 raspberries in each mold. Warm water and tart cherry concentrate up until warm to touch on the stovetop. Mix in honey until it dissolves. (this step is only needed if your honey is solid enough that it will not dissolve well without some heat). Pour cherry mixture over the raspberries, snap lid on, and freeze for 4 hours. To pop mold off, run under hot water for 20 seconds. Enjoy! Ring pops without the food dye, corn syrup, or other ickies. Tart cherry promotes healthy sleep. With the ring pop molds secured in their base, place 2 raspberries in each mold. 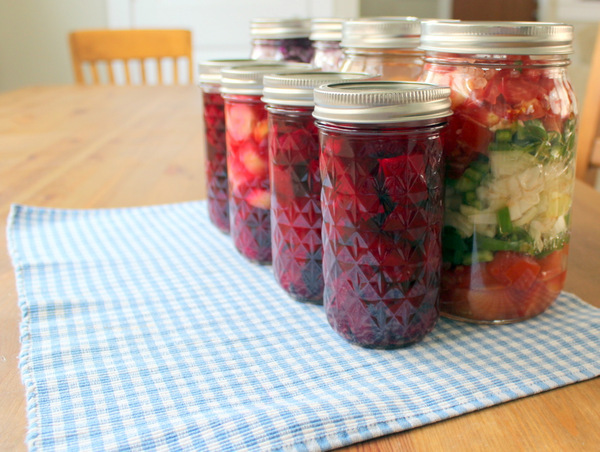 Warm water and tart cherry concentrate up until warm to touch on the stovetop. Mix in honey until it dissolves. (this step is only needed if your honey is solid enough that it will not dissolve well without some heat). Pour cherry mixture over the raspberries, snap lid on, and freeze for 4 hours. To pop mold off, run under hot water for 20 seconds.